Affordable Mediation Services is an economical process for parties in dispute to engage in negotiation to resolve their differences, in many cases, without the need for costly and protracted litigation (even if the litigation path and/or court proceedings are on foot). More often than not, depending on the nature of the dispute, a workable solution can be struck for all parties within a day or two, resulting in the abandonment of further litigation. For mediation to be effective, parties in dispute need to voluntarily commit to the principle, with the assistance of the mediator . 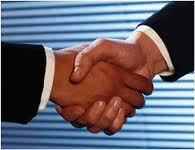 In some cases a court or tribunal may make orders that the parties attend mediation. Mediation is confidential , and relies on a commitment and honesty of the disputing parties to achieve equitable outcomes . Mediation is not a legal process , but rather ,an opportunity to avoid litigation (or further litigation), and provide an affordable alternative for an acceptable outcome. It is possible to resolve a dispute without resorting to costly litigation through the courts system. Click on "Blog" at the top and join in our discussion - read our posts and add some your own thoughts for others to share. All things mediation and legal - any funny stories are always good.